It’s Christmas time which means a festive read was in order. 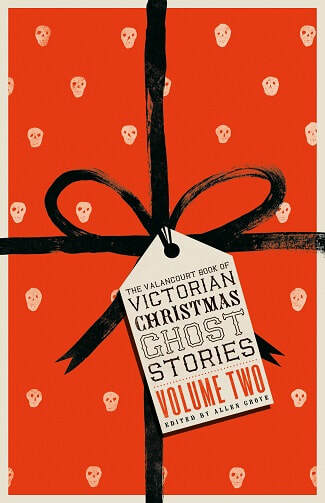 However, rather than going for your typical festive feel-good novel, we decided to bring back the old Victorian tradition of Christmas ghost stories. This story is an excellent example of how enthralling and clever such a short story can be. There is no need for clarity here, and there is no reasoning, only an unexplained curse and a slow descent into madness. The unnamed characters and vaguely placed location surprisingly didn’t detract from this tale as expected, but just added to the overall mystery and intrigue. Overall, I love this tradition of Christmas ghost stories; in my opinion, it’s far more entertaining than the Christmas romcom. I’m all for bringing it back, and this collection is the perfect place to start. I’m not usually one for ghost stories, but this one added a couple of nice touches to an otherwise reasonably generic trope that made it a lot of fun to read. The narrative is nothing groundbreaking; it boils down to a cursed spirit bound to an ancient home because it hasn’t been laid to rest. Very simple; very Gothic; and very well-executed. The opening chapter with the clairvoyant seems a bit caricature at first, and it’s very heavy-handed with the foreshadowing, but that doesn’t stop it from lingering in your head as the novel progresses. Ruby wasn’t amazing as a character; she was mainly just an exaggerative mouthpiece for the ghost’s story. But you read a ghost story for the ghost. Without giving too much away, the ghost is more of a restless spirit than a vengeful spectre, once again contrasting with the build-up to it’s reveal. Overall, this is a great little ghost story that’s well-paced, easy to read and, at its best, genuinely chilling. One cold winter’s night during ‘a season for such tales’ people from far and wide join together and tell ghost stories. Horror: A True Tale is rich in Gothic descriptions: the ebony framed oval mirror, the ghost stories told by candle-light, and the green damask curtains add some Victorian-era authenticity to this short story. As terror dawns on the narrator, fiction seeps into reality and the ghostly circumstances of John Berwick Hardwood’s tale ‘blight’ her life, bringing tragedy and misfortune until she is nothing but a ‘haggard old woman.’ Read Horror: A True Tale for a blood-curdling ghost story told with gristly Victorian literary traditions. As ghost stories go, W. W. Fenn’s ‘The Steal Mirror’ is a perfectly tame piece for people like me who can’t handle spooky things. Reading it on a cold evening, wrapped up in various blankets and jumpers, it didn’t give me chills or night terrors, but that doesn’t mean it wasn’t thought-provoking. My only grievance is with the ending. Without spoiling anything, it has to be said that while it answered the questions it had posted early on, it was too little too fast. I wanted to know more about this haunted mirror, but it is better for an author to leave you wanting more rather than less. Interested in getting involved in the book club? Please email Ruth at scan.arts@lancastersu.co.uk for further information. Previous articleIs There A Dark Side to Christmas Markets?